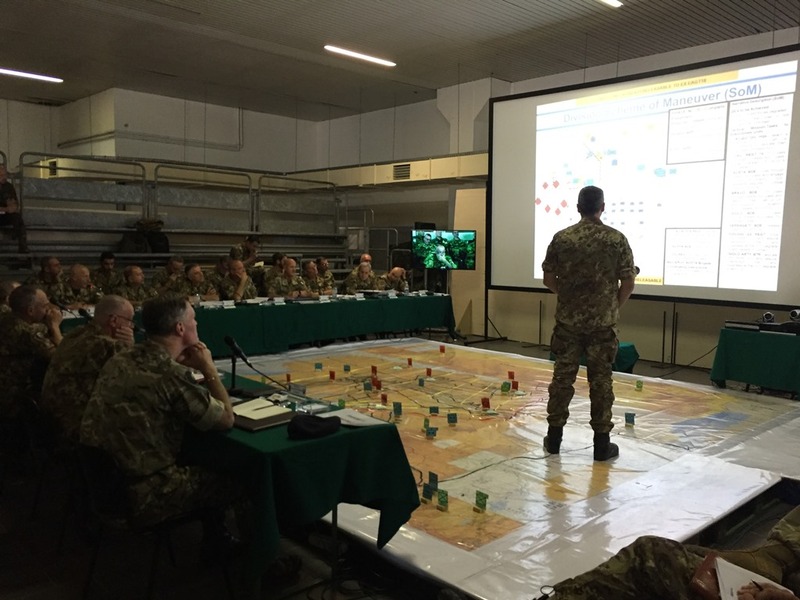 NRDC-ITA and all affiliated Units, composed of 2nd Greek Mechanized Division, Friuli and Acqui Divisions, Artillery, Air Defence, Aviation, Engineer, Combat Service Support HQs, ISTAR Brigade and 28th Operational Communications (PSYOPS) Regiment of Italian Army conducted a planning exercise and a backbrief that were the final steps of Exercise Eagle Ghost 2018 (EAGT 18). The focus of the activity was to train and exercise NRDC-ITA’s capability to interact with affiliated units in order to enhance procedures and interaction. The BST has been conducted last week in Ugo Mara Barracks to check the synchronization of all affiliate units Concept of Operations (CONOPS) with Commander Land Component Command (COM LCC) Operation Plan (OPLAN). Also 3 Officers from 1st BDE/SAF Battalion (affiliated Unit to NRDC-ITA) of Slovenian Army participated in the BST as observers. 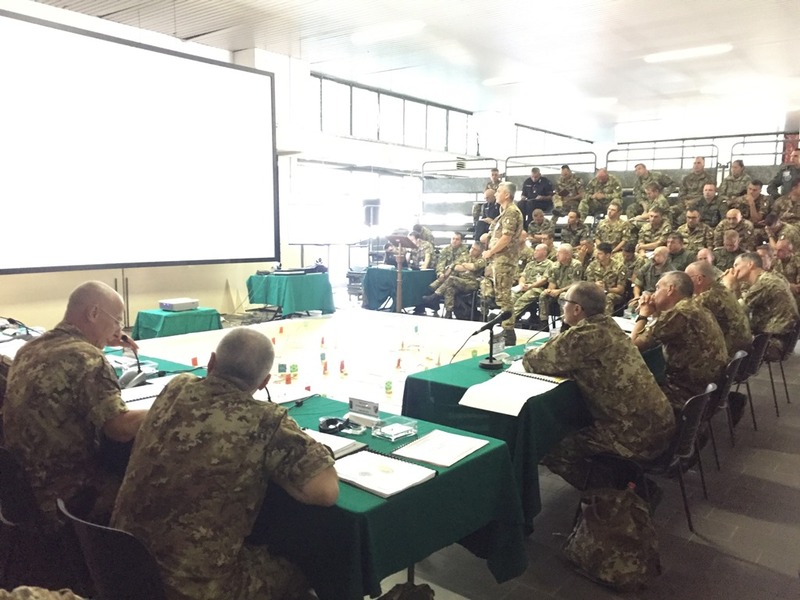 The Back Briefing, conducted today with a large attendance of participants, aimed to allow General Roberto Perretti, COM NRDC-ITA, to verify how the affiliated Divisions and BDEs intend to accomplish the assigned mission. 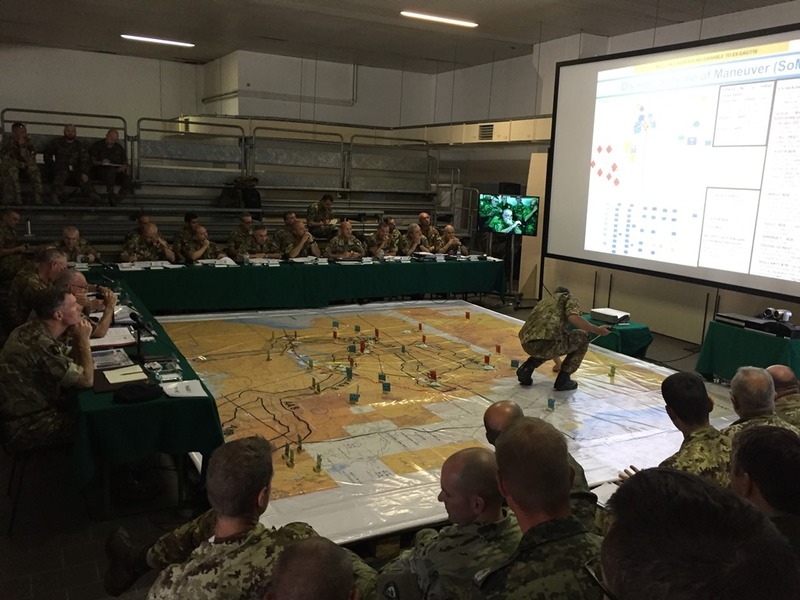 As a training opportunity, the Planning Groups from the 3 Divisions attended the event via VTC and representatives from COMFOTER COE of the Italian Army took part as observers. At the end of the Back Brief, General Perretti provided his Direction and Guidance to all Commanders in order to refine their maneuver.